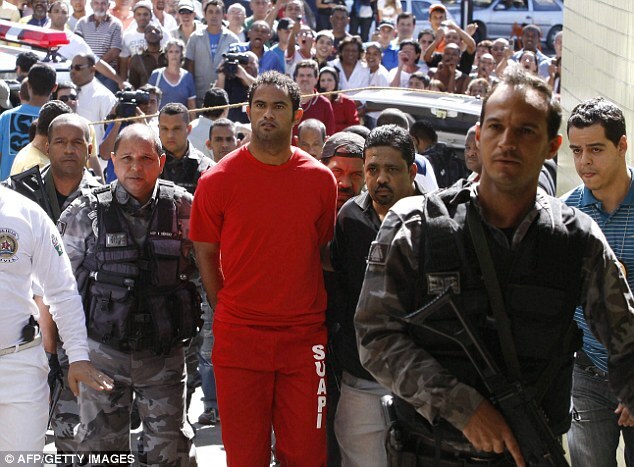 Bruno Fernandes de Souza, a former goalkeeper of Brazilian club Flamengo, headed to court in 2010. On Wednesday, the former star denied ordering a hit on his onetime fling, Eliza Samudio, but admitted to hearing she’d been killed after she disappeared in June 2010. 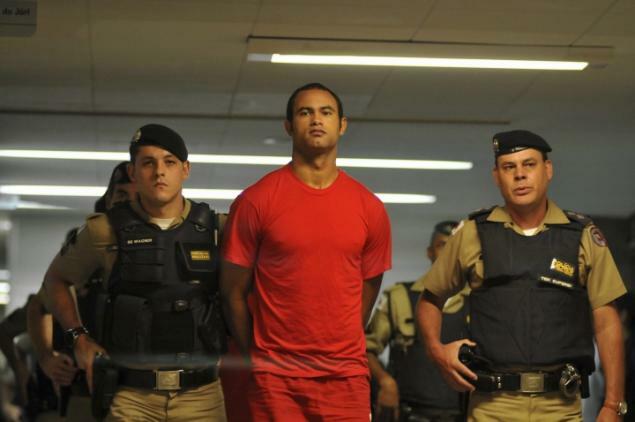 A Brazilian soccer star on trial for the ghastly murder and dismembering of his former lover has for the first time admitted that he knew about her death, but denied putting a hit out on her. Bruno Fernandes de Souza, 28, testified at his trial on Wednesday that his best friend paid someone to kill his ex-fling, model Eliza Samudio. During the dramatic courtroom testimony, Souza told jurors that he learned about Samudio’s death from his cousin, who had witnessed the killing. The soccer star insisted he “was not the one who ordered” the slaying, but said that he felt “guilty” for her death. His testimony in the courtroom in Mina Gerais, in eastern Brazil, was a dramatic reversal of earlier statements in which Souza said he didn’t know what happened to the brunette stunner, who disappeared in June 2010 after claiming Souza fathered her baby. Brazilian model Eliza Samudio, 25, ex-girlfriend of footballer Bruno Fernandes de Souza, in Rio de Janeiro, Brazil, in August 2009. Prosecutors said de Souza fathered a son with Samudio and then ordered goons to kill her to avoid paying child support. Prosecutors have charged Souza, 28, with ordering goons to murder Samudio so that he could avoid paying child support. The 25-year-old model was lured to a Rio de Janiero hotel on June 4 thinking she was going to take a DNA test to prove the married Flamengo football club star was the father of her son, born in February 2010, prosecutors said, according to BBC. She was kidnapped and taken to the star’s vacation pad in the city of Belo Horizonte, more than 200 miles away, where she was strangled and dismembered by a gang of Souza’s pals, authorities said. music to drown out her screams and ultimately strangled her, according to police. Some of her body parts were fed to a group of Rottweilers, while others parts were buried under concrete, prosecutors charged. Her body has not been found. Santos’ trial starts in April. Police later found her four-month-old son, Bruninho, in a Belo Horizonte slum. Samudio’s mother is caring for the child. 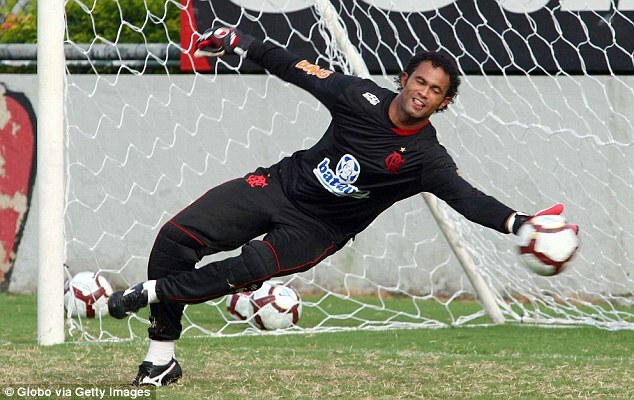 Souza was once among the brightest soccer stars in Brazil and helped his team to the national championship in 2009.